Palawan’s capital city, even with its beautiful old trees and fascinating museums, is not always fun to navigate. There are some great attractions nearby, but it really helps to have a serene spot to return to. Because I find myself coming back to Palawan often, I’ve had a chance to scope out quite a few of the hotels and resorts in town. Here are four places I keep coming back to. Each one is locally owned, close to nature and working toward sustainability. This downtown hotel is actually one of the most eco-friendly properties in the Philippines. 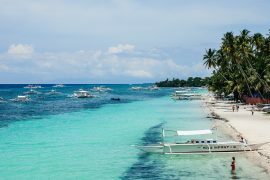 Puerto Pension has a rustic Filipino vibe, and a location that’s perfect if you want to be close to the restaurants and bars in town. This is not the place to go for sleek quarters (the rooms have native décor, although the bathrooms are modern.) What Puerto Pension does best is warm hospitality and cozy rooms where you’ll sleep like a baby. I always enjoy breakfast at their rooftop restaurant, where you can see views of the water and harbor peeking above the trees. Ask about their free airport transfers and in-room massages. Palo Alto is down a quiet road a little outside the center of Puerto Princesa. What makes this property unique is that it’s managed to integrate all the trees onsite into the structure of the building. The restaurant, which makes homey Filipino dishes and beautiful breakfasts, feels like a magical tree house. There are great sprays of greenery and flowers drooping from the rafters around the courtyard. Palo Alto’s front desk offers well-organized tours to the Underground River, and the B&B has a beautiful pool and area for massages. While not all the rooms are equal (ask for a better one if you need it) they are all clean, modern, and comfortable. Princesa Garden Island Resort is set within an expansive coconut tree-studded garden just a few minutes from the airport. The resort offers lots of activities, including swims at a nearby sandbar, kayaking and mangrove walks, as well as a lovely saltwater swimming pool. 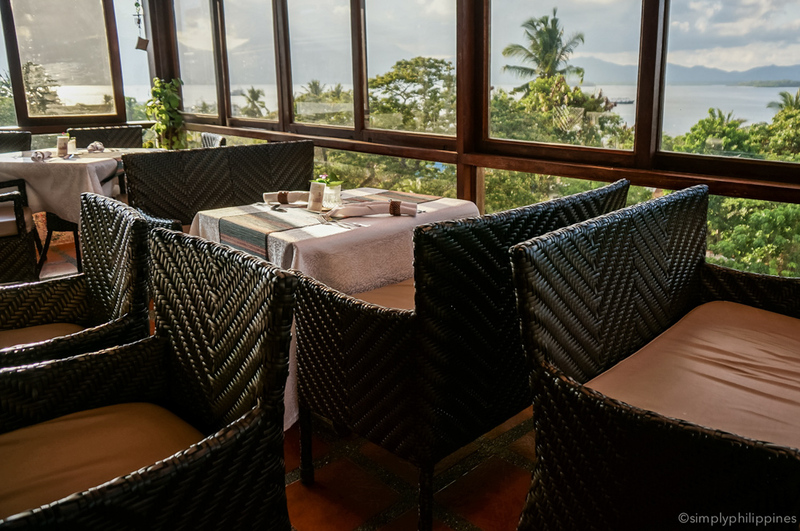 The owners of Princesa Garden Island have worked hard to upcycle natural materials from around the area, and to contribute to the community in Puerto Princesa City. The property uses solar panels for water heating, refillable glass bottles in the rooms, and has a wasterwater treatment plant of its own. Best of all, it’s close to the beautiful nature of Palawan — you never feel like you’re in the city at all. See my full review of Princesa Garden Island here or visit their website for more. Bahay Kalipay is not for everyone. It’s a wash-your-own-dishes detox retreat on a former banana plantation, where all the meals are raw vegan and the sound carries through the thin walls and into the no-frills little rooms. But it’s also the main reason I come Puerto Princesa. For about 50USD/night, you get one or two yoga classes a day, meditation, healing or art therapy sessions, green smoothies, healthy snacks, three raw vegan meals daily, and all the coconuts you can eat. Try Palawan Mangrove Resort, a riverside lodge less than an hour from Puerto Princesa City. Not what you were looking for? See more places to stay in Puerto Princesa in SimplyPhilippines’ All-you-need Guide to Puerto Princesa. Traveling sustainably means considering your impact on the environment, community and culture. Where do you want your money to go? Whatever we lose, it's always ourselves we find in the sea. Copyright © 2016 SimplyPhilippines. All rights reserved.